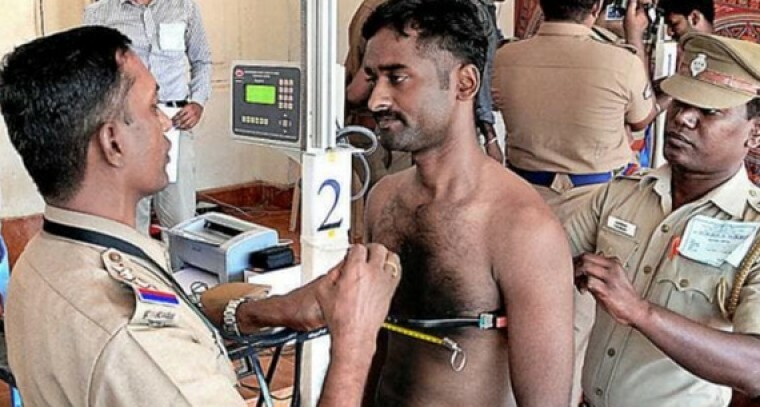 Amaravathi: Candidates who were shortlisted in the preliminary examination for Andhra Pradesh Police sub-inspector post have to appear for the physical events from tomorrow. The events will end on February 9. Around 51,926 candidates have been shortlisted for the events and the download of call letters for the events will end today. Of the 51,926 selected candidates, 12,703 are from North Andhra, 12,868 from East and West Godavari, Krishna, 9,434 from Guntur, Prakasam, Nellore and 16,921 from Kurnool. The events will be held in Vishakapatnam, Eluru, Guntur and Kurnool. Candidates who have selected in the physical exam will have to take a final exam on February 23, 24. As many as 1.34 lakh candidates have applied for the 334 SI posts.